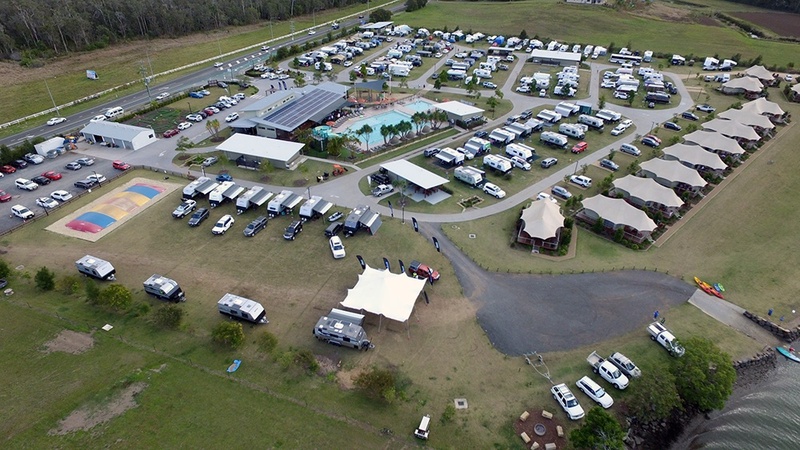 On Friday 7th September a group of proud NextGen Caravan owners met at the beautiful Rivershore Resort on the Sunshine Coast for the inaugural NextGen Caravans Owners Group meet-up. A total of 30 vans and 70 people attended the weekend. Rivershore Resort was the perfect location for our first get-together. It offers lovely, large sites, beautiful clean amenities, a cafe and bar as well as a large swimming pool complete with water slides. 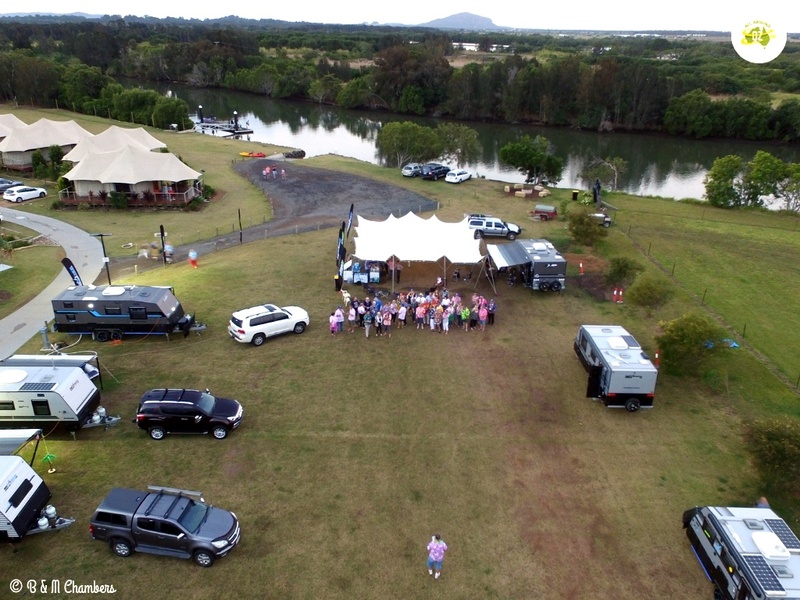 Located right on the banks of the Maroochy River, it’s the ideal spot to wet a line or even hire a kayak and go for a paddle. Come night time there are two communal fire pits to gather around. Friday night started off with meeting lots of new friends and enjoying a few drinks during ‘Happy Hour’ as well as being entertained by the very talented Mick Lindsay. I think it’s safe to say that an awesome time was had by all. Saturday morning it was time to relax before dressing in our Hawaiian finery and settling in for the afternoon with a couple of guest speakers. First off was Lachlan from Your Mates Brewing, a local Craft Beer brewery. With an obvious passion for the industry and big plans for the future, his unique beers were very drinkable. Our second guest speaker was Simon Jenje from Hervey Bay business, Overland Touring Solutions. He shared lots of great information on Lithium Power Systems and RVD Safe Power modules which can protect you from 240 volt electric shocks from your inverters and generators. 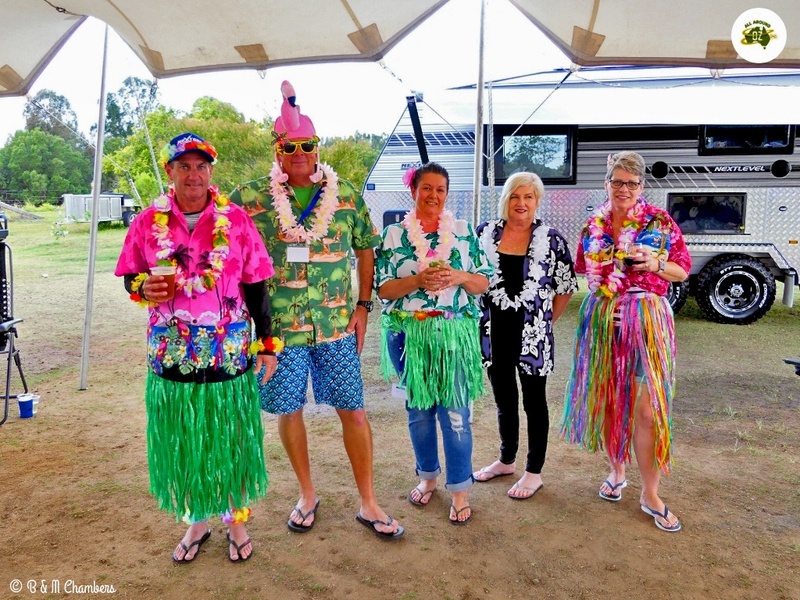 Along with our Hawaiian themed dress there was also a competition for the ‘Best Dressed Caravan’ and this was won by Stephen Ivers and Enid Leak. Their prize – a night in one of Rivershore’s very luxurious Glamping Tents. Our meals on both Friday and Saturday nights were catered for by Rivershore Resort and were very enjoyable. As well as all the NextGen owners it was wonderful to see Network RV owner Joe make the trip up from Melbourne. I personally think he was quite humbled by the roll-up and the obvious pride and satisfaction that we all feel in owning one of his quality products. 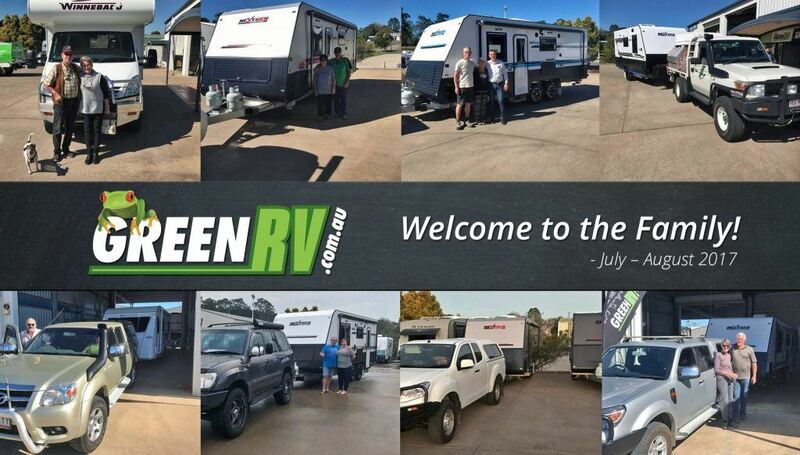 It was also great to see Jack, Karl, Joanna and the rest of the team from Green RV there. They certainly organised a great weekend for us all and we hope they all know how much everyone appreciated their efforts. Never fear….more events are being planned. 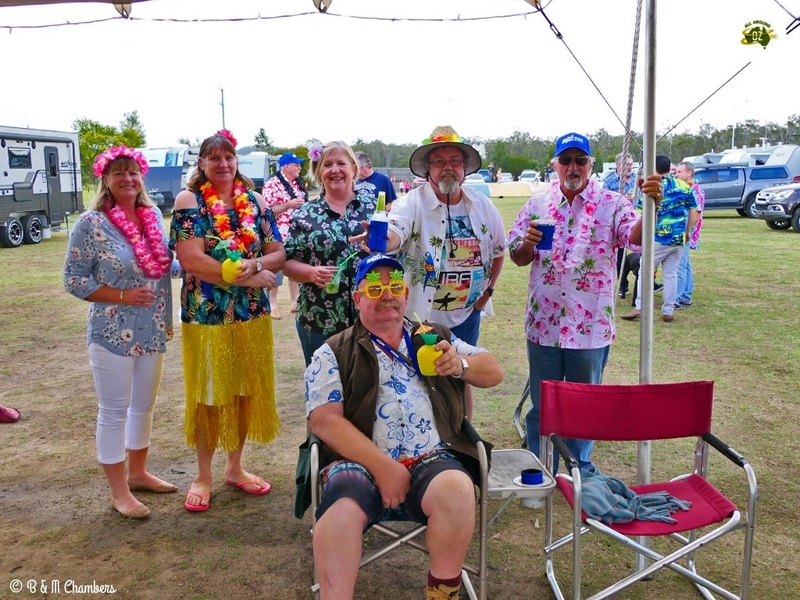 Keep an eye on the Green RV newsletter or if you haven’t already, join the NextGen Caravans Owners Group. 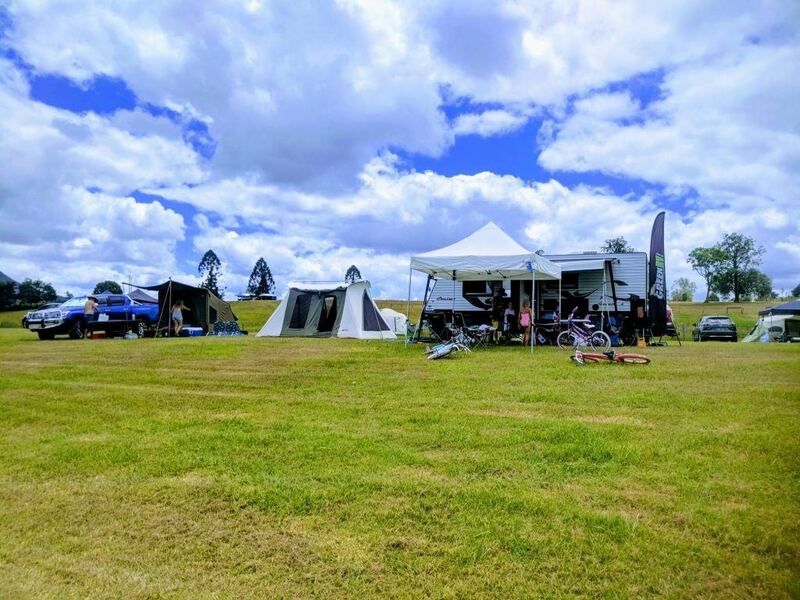 Melissa and Brenden are passionate caravanners, campers and travellers. In fact they have been travelling together for over 20 years. They love nothing more than ‘taking the road less travelled’ and then sharing their travel adventures on their blog. Their aim is to support small businesses that operate in the tourism sector and promote tourism in rural and regional Australia.